Affordable housing is like a dirty word. On the one hand, it implies free-market erosion caused by government meddling. In a practical sense, it means that someone with full employment should be able to rent a modest place without going into debt. And, in the Bay Area, “affordable housing” is increasingly an oxymoron and a vanishing dream, with 1 housing unit for every 10 jobs, gridlocked by a sort of over-entitled consensus democracy, driven by NIMBYism and fear. What about populations who cannot survive unaided? Let’s say seniors with health challenges who are living on a fixed income, for example. If even a middle-class employed person can’t find an affordable place to live, how can we expect people with serious personal obstacles to do it? And, are all government programs equal: Federal-level HUD-built public housing, state-run welfare programs, Section 8 vouchers, or private developers with tax credits? Should affordable housing be run by for-profit or non-profit entities? Should it be offered for sale or managed as a rental property? How do the buildings and people fare over time, and what makes it “successful” or a “failure”? 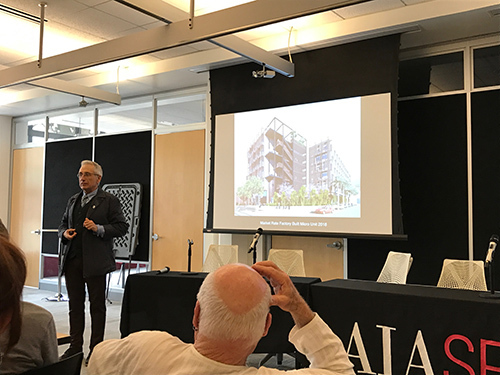 As part of the a lecture series titled “From City Project to Vibrant Neighborhood” for this year’s Architecture in the City Festival in San Francisco, we approached each of several potential panelists to ask them a series of questions related to housing and urban community life. 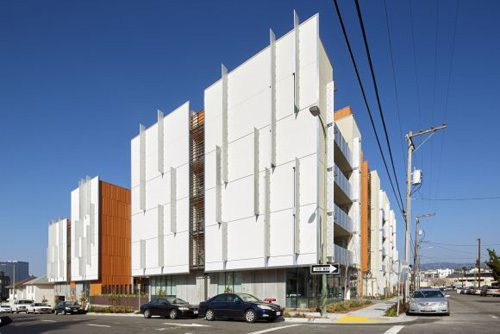 Architect David Baker and his firm, David Baker Architects, have been building affordable housing for non-profit developers in the Bay Area for over 30 years. Mark English and I sat down with David Baker and Amit Price Patel, both Principals at DBA. The firm itself is fairly egalitarian: nearly half the design staff, including one of the four Principals, are women. Several team members write for the DBA blog – which has a lot of original articles that are worth reading. Based on that blog, I’d come up with a few starter questions. 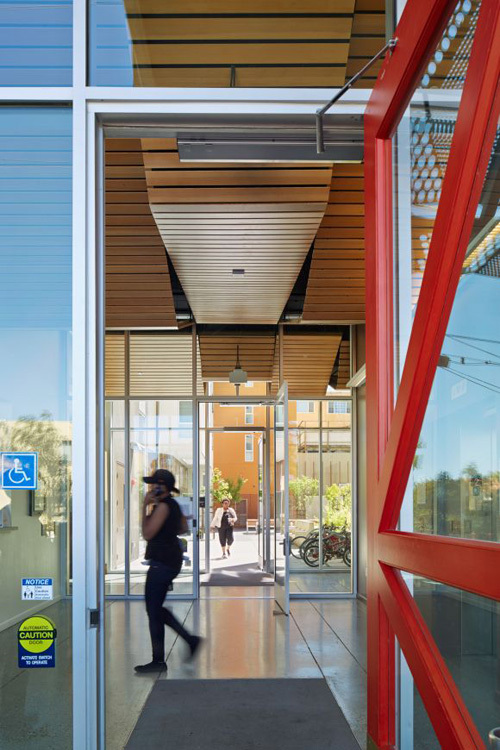 Your housing projects emphasize building community through design choices, such as creating opportunities for residents to cross paths and interact in welcoming-feeling common areas. Other researchers such as William H. Whyte have promoted similar design practices for public spaces, making them more welcoming in order to enable social spaces and promote a sort of cosmopolitan mingling. But are formerly homeless people really ready to jump straight into apartment living? Can you really solve urban problems and social ills through design alone? 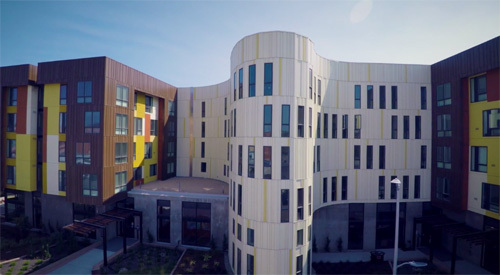 Amit Price Patel: Nonprofit affordable housing for special-needs populations such as formerly homeless people, or homeless seniors, usually includes a services suite onsite. It’s a one-stop shop to help them with a variety of issues, such as Social Security paperwork, VA benefits, psychiatric issues, or physical disabilities. Otherwise they’d have to go downtown and deal with the bureaucracies unaided. 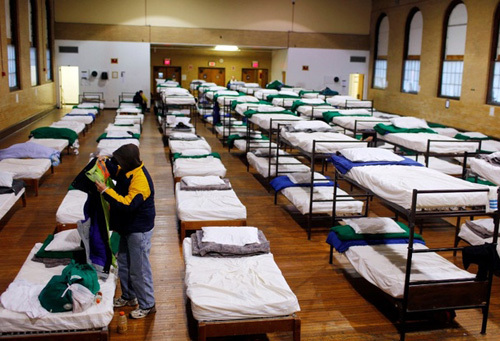 There’s a world of difference between a “homeless shelter” and a real home. Rebecca: In some cities, like Syracuse, NY, they are welcoming large numbers of refugees from places like Somalia and now, probably, Syria as well. It seems like these groups might have culture shock as well as trauma. 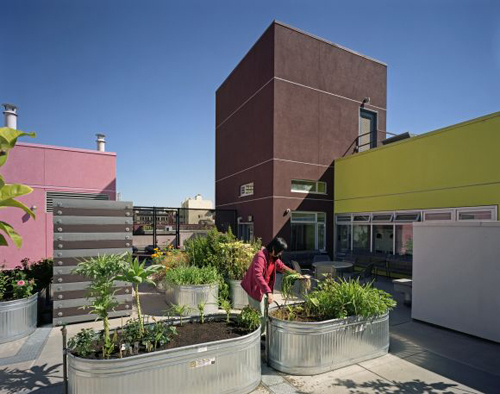 How quickly can they acclimate to new surroundings created with the design techniques you advocate in “9 Ways to Build Community with Urban Housing“. Amit Price Patel: It might take a while for some groups to really settle into their new homes. In these affordable housing buildings, there’s some level of “settling” as well. It might take residents a few years to acclimatize and really be able to take advantage of the social spaces, but it’s important to provide them with the possibility of engagement. David Baker: Diversity helps a building to thrive, meaning a mix of special-needs residents and “mainstream” people. However, it’s not done as often because there’s an impulse to serve where the need is greatest first. “Housing first” is the motto, because people aren’t able to deal with their other problems effectively until they have a secure place to live. Amit Price Patel: Buildings that are dedicated to formerly homeless populations do have a more intense vibe… there’s more pain. 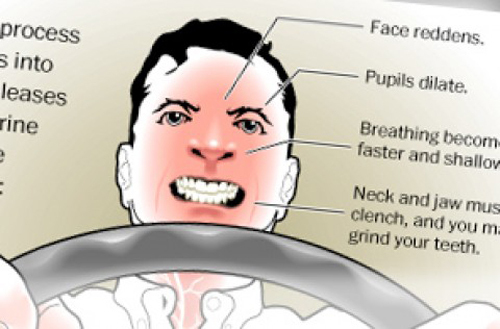 Oftentimes, physical disabilities are part of this pain. Amit Price Patel: Affordable housing often has higher density than ordinary apartment buildings, meaning the units are smaller. Thus, shared spaces are crucially important. However, even in luxury apartment buildings, amenity spaces such as lounge areas get used. 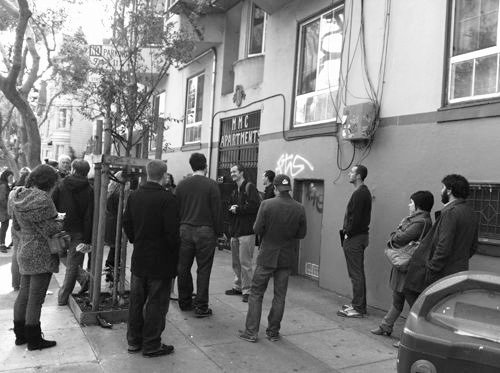 It’s kind of a networking or co-working opportunity, like at Potrero 1010. 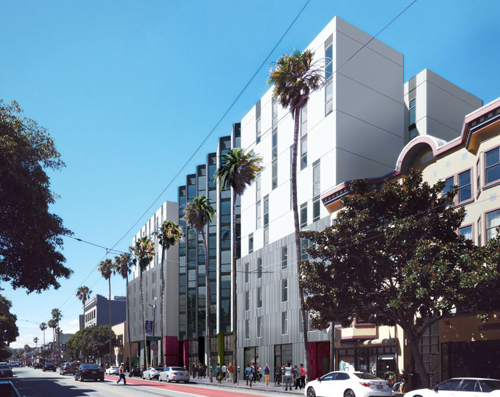 DBA’s Potrero 1010’s 453 units include 90 affordable homes. 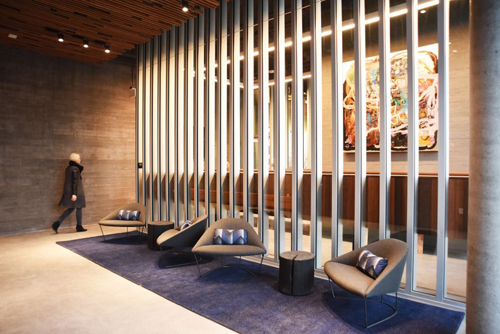 The shared amenity spaces include a welcoming lobby, resident lounges, and conference rooms. Amit Price Patel: Non-profits don’t like to build 3-bedroom apartments, because a lot of the families who’d live in them would prefer to squeeze everyone into a 2-bedroom and save that extra $500/month rent to put towards other things, like college, or clothes, or food. David Baker: The prevailing business model today is either a private developer or a non-profit group, building properties that they then rent and manage. David Baker: Affordable housing was done by the [Federal] government until Reagan was in office. Then, the GOP started a movement to privatize affordable housing through a tax credit system. “Kill HUD” was their motto. Later, the GOP conveniently forgot that the tax credit system was their own idea, and now they’d like to kill the nonprofits. Amit Price Patel: Affordable housing is just for low-income people. There are plenty of middle-class households that can’t afford luxury housing, but they can’t get into the subsidized homes because they make too much money. It’s also because the wait lists are so long. Competent Housing Developers: Who’s Good? David Baker: If I had to list the agencies I feel are really competent, it would be under 10. 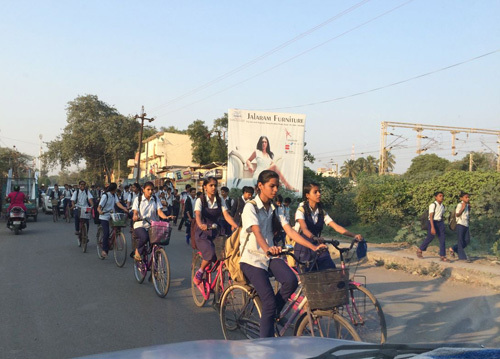 It’s a mission-driven business, where economies of scale help. We are currently working with a long-time collaborator, BRIDGE Housing, and a new client, Mission Housing Development Corporation, on an affordable family project, and it’s going great. David Baker: We should make the San Francisco planning process rules-based [by-right] rather than capricious [discretionary review]. Establish reasonable standards and then follow those rules. Building new housing should not be a multi-year journey. We need predictability and fewer points where people can stop a project. Buildings would cost less and be better designed, because you’d have money to spend on those essentials rather than wasting it on endless bureaucracy. Amit Price Patel: Planners are there to represent the community’s desires, but also need to be empowered to nimbly deal with long-term housing and transportation crises, and focus less on things like deck additions and blocked views. So why are lines for even market-rate rentals out the door? Amit Price Patel: To paraphrase Daniel Solomon, San Francisco is stuck between love and hope. People already here love their city and don’t want change. But, all these people are coming in with the hope for a better life, and there aren’t enough housing options. We’ve just got to build more because people aren’t going to stop coming to such a great city with so many jobs. 5 Years To Approve One Project? Seriously? David Baker: A typical multi-unit housing project takes 5 years to get approved in San Francisco, and that’s if you’re lucky. Amit Price Patel: Individuals are allowed to have a disproportionate impact on planning projects. It takes forever to get projects approved with the discretionary planning reviews. At any point in that process, a single cranky citizen can derail things for another year with a simple filing fee. Amit Price Patel: Companies are somewhat constrained by where their employees want to be. SalesForce was building a huge new campus and then discovered that its employees really liked being right downtown. So they cancelled the new campus and just work with a series of downtown buildings, building a new tower. 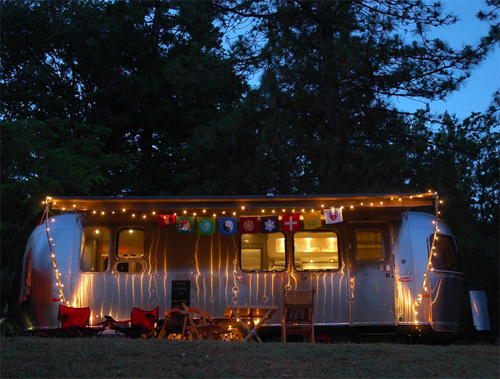 Amit Price Patel: The high cost of housing means that tech companies can hire only very young people who are willing to live out of their cars, if that’s what it takes, or in compressed dormitory-style living. Or, they can hire senior VP-level types with the salary to afford market rates. David Baker: Some tech companies are, in fact, starting to invest in housing and other infrastructure improvements. At times, they are running into the same NIMBYism in Mountain View that plagues similar housing approvals in San Francisco. Google wanted to build housing in Mountain View – nixed. Google wanted to stripe bike lanes on the streets in Cupertino – nixed. In other parts of the country, there’s more room for this. For example, Under Armour in Baltimore is building worker housing AND new police stations. One of Amit Price Patel’s blog posts described how the city of Medellin in Colombia rapidly transformed itself under a dynamic and active new mayor. 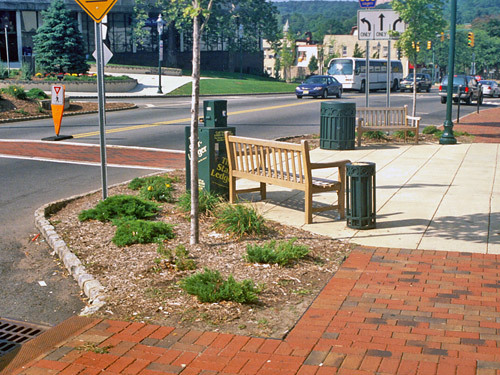 Bulb-outs are curb extensions configured to slow down fast-moving vehicular traffic so that bikes and pedestrians can more safely share the road. Amit Price Patel: There’s an expectation of politicians in Medellin – build it, and do it quickly. They’re also willing to experiment, and to try prototypes. For example, trying paint markings on streets to see how they affect traffic flow. 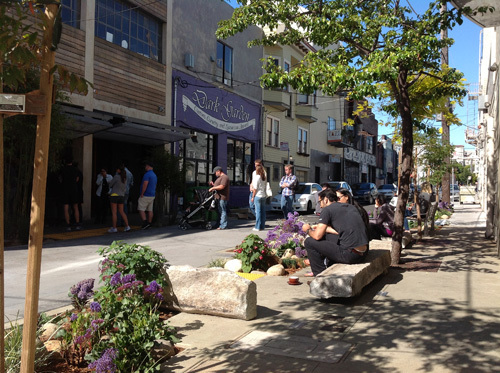 We’re doing that here to some extent: experimenting with bulb-outs, parklets, and the whole Pavement to Parks initiative. 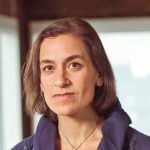 Rebecca: One reason people want to live close to the action is that it’s hard to get around the greater Bay Area without a car due to a disjointed patchwork of transit systems. BART, MUNI, Caltrain, and various buses all require re-entry and sometimes walking several blocks between stations. David Baker: Privatizing transit could work. Chariot [a crowdsourcing commute app] could be a competitor for MUNI. Right now, MUNI has a monopoly. A century ago, most transit companies were private. Tokyo’s rail system today is private. Amit Price Patel: Uber, Lyft and other ridesharing services are good. Let a thousand flowers bloom! Uber is forcing cabbies to be nice and take your credit card instead of cash. Uber gets you home after a late-night party when BART is closed. David Baker: Autonomous vehicles are the future in cities. They’re not *allowed* to hit you! Do we REALLY want to preserve our car culture for this? Shared streets can have markings such as “Sharrows” for “share the road with bikes”. 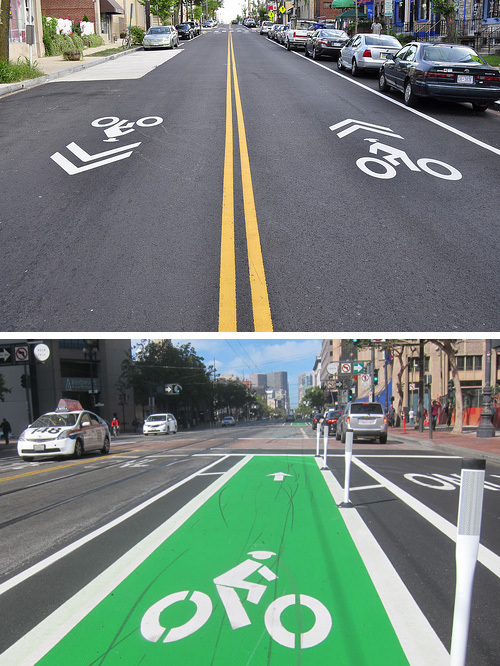 Safer yet are dedicated bike lanes, often color-coded green to make them more visible. David Baker: It’s the place you live. Not private places isolated from one another, but a spectrum of private to public space. I see a lot of people I know on BART! David Baker: Most people experience buildings at the ground level. They don’t care how many stories are over the cafe. 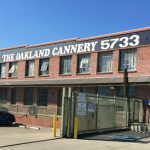 Developers want to build up to the property line in order to squeeze out that last square foot of rentable floor space. But, you can instead use setbacks to create a gracious and inviting ground floor. That’s what the Q Zone is about. The “Q” is for Quirky – the place where a building is personalized. Amit Price Patel: Don’t try to “solve” a problem – because you will fail. You want to make it easier [for people to be social], and encourage “possibilities”.